Amazify Cloudbreak - Cbl Plasma Mirror - Ski-Snowboard Goggles - SHRED. 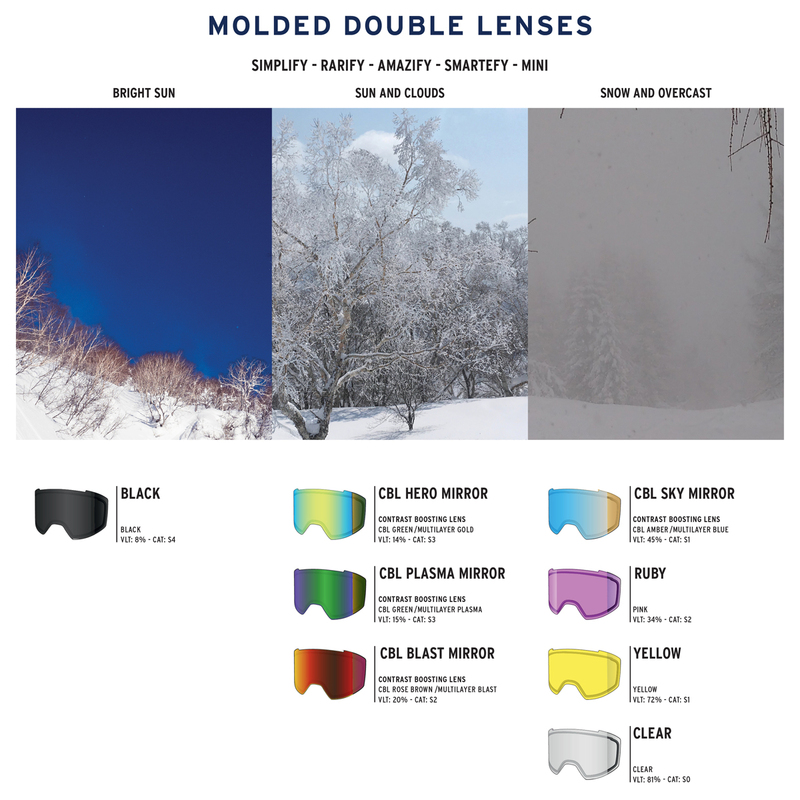 Are you searching for the sleekest-looking ski and snowboard goggle that features a cylindrical lens, uncompromised fit and comfort, and a field of view unlike anything you’ve experienced before? If so, the SHRED. Amazify is the clear choice. Its CONTRAST BOOSTING LENS™ (CBL) and NODISTORTION™ technology enhance contrast and image definition while SHREDWIDE™ maximizes field of view, enabling you to feel strong, confident, stoked, and in control. The SHRED. Amazify is compatible with prescription glasses (OTG). SHRED. CONTRAST BOOSTING LENS™ | Enhances image contrast and definition for all weather and light conditions. SHRED. NODISTORTION™ | Pressure regulation valve technology to provide crystal clear vision during altitude change. SHRED. OTG | Designed to provide compatibility and comfort with prescription glasses. SHRED. NOCLOG™ | Hydrophobic treatment on vents to reduce clogging from snow or water and help prevent fogging.